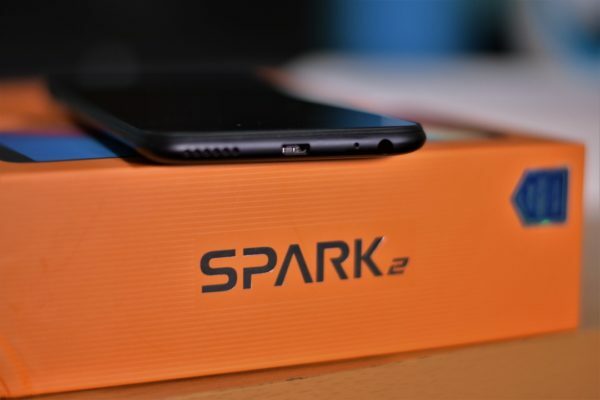 In this post, I bring to you Tecno spark 2 specs and price. So far, looking at Tecno spark smartphones series, we have noticed that there is no special feature which they posses. All specifications of the devices that fall under this series are average. One mind blowing specification of this android phone is the Face-ID unlock feature which only few android devices have and this does not mean it from having a rear fingerprint sensor. Are you the type of person that likes Android operating system updates? 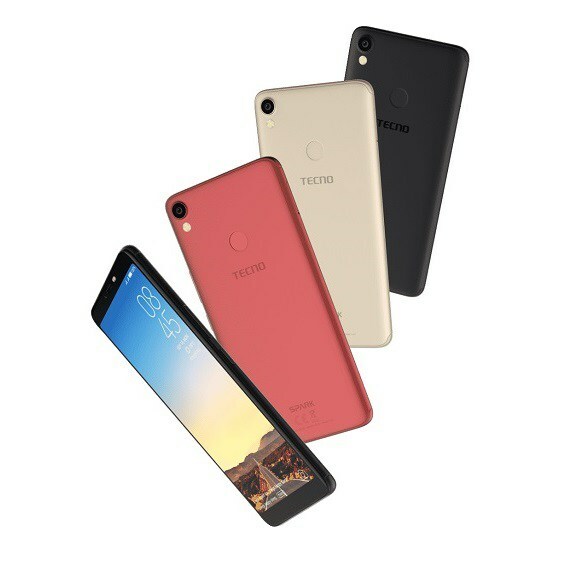 Tecno spark 2 comes with Android OS version 8.1 Oreo (Go edition). It also has an average 3500mAh Li-Ion battery and a 6-inch, IPS LCD capacity touchscreen of 1440 x 730 pixels resolution. Fortunately, this smartphone has support for 4G networks which is great especially for those of us that like surfing the internet. Coming down to it's RAM storage, it comes in two versions which are 1GB and 2GB versions. I don't know why they decided to release them these way, but I know there will be a price difference between both of them. 1GB or 2GB RAM memory and a 16GB internal memory with support for up-to 32GB external storage card. 13 MP rear camera and a 8 MP front camera. 6-inch HD screen with a resolution of 1440 x 730. Tecno spark 2 is available in most online shops and Tecno retail shops. So also, its price depends on where you are buying it from. The Tecno spark 2 Price in Nigeria ranges from 35,000 to 40,000 Naira if you are buying from an online store. You can also get it for 30,000 to 35,000 Naira if you purchase from the closest mobile retail shop to you. Tecno spark 2 has a 13 megapixels rear camera which is not a bad one and an 8 megapixels front camera (Because it has a Face-ID Security). Though, we can't compere it's camera with that of Tecno camon cx, I believe they can still do better. But still, it's not a bad one. As i wrote earlier, Tecno spark 2 comes in two versions. The version which has a 1GB RAM and the other comes with a 2GB RAM. I don't know their reason for doing this, but I will advice you to make sure you check it's specifications before you pick up this device so that you don't purchase something you will regret buying. Considering its internal memory, it has a 16GB internal memory and you can also use an external memory card of up to 64GB on it. Coming down to its processor, it has a 1.3GHz quad-core processor which is same with that of Tecno l9 plus. When we are talking about the latest android OS , this phone comes with an Android version 8.1 Oreo (Go edition) operating system. 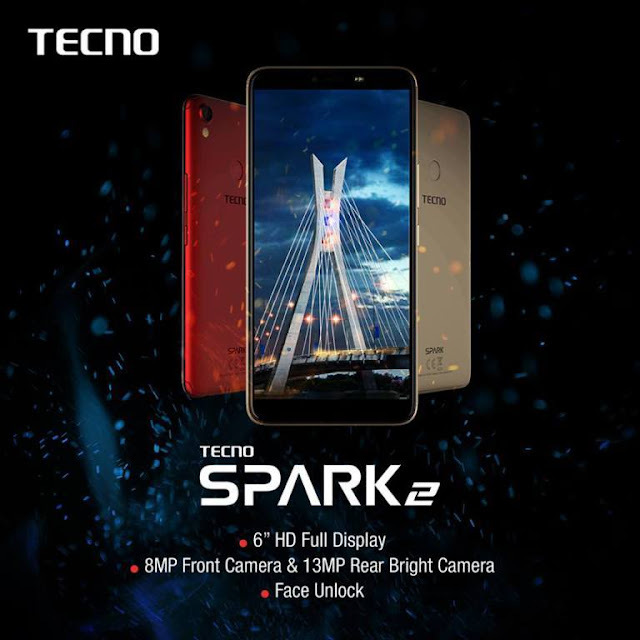 Do you have anything to comment about Tecno spark 2? Write your comments below and don't forget to share this post with your friends.